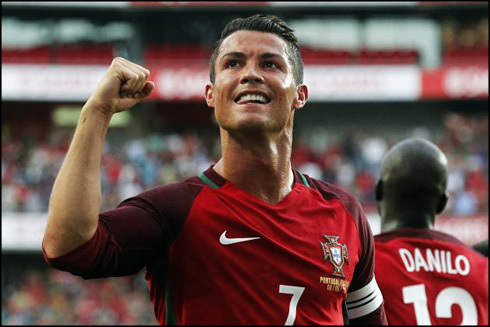 Portugal ran over Estonia with a 7-0 win this Wednesday, in the last friendly game before the EURO 2016 kicks off this Friday in France. The Selecção found no difficulty in beating a very weak opponent at the Estádio da Luz and the next stop is now the European Championship. There won't be opponents as easy as Estonia in the EURO 2016, but as long as Portugal respect who they play against the same way they did tonight, anything can happen. The 2-0 was the end-result of another brilliant moment produced by Quaresma, who curled the ball into the far corner once he got enough space on the left with the ball close to his feet. There would still be time for a third before the break and it would be Cristiano Ronaldo writing his name on the scoresheet once more. The Real Madrid forward finished up an assist from João Mário using his right foot and would come out at half-time to be spared for the debut in the EURO 2016 on June 14, against Iceland. Quaresma wasn't done for the night yet though and he scored his nation's 6th goal in the 77th minute, following a good defensive action from Bayern Munich's new signing, Renato Sanches, who then assisted the "gipsy" for his second goal in this game. Lastly, but not the least, Éder also left his mark tonight and sealed the deal for good by scoring Portugal's 7th goal against Estonia. The Portuguese striker picked up a pass from André Gomes, controlled the ball inside the box with a couple touches and easily finished it off to make it 7-0. Good feelings for the EURO 2016! The tournament begins this Friday with France facing Romania in the opening game at the Stade de France, in Paris. 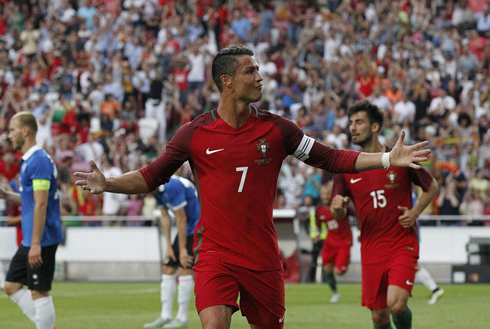 Cristiano Ronaldo next game with Portugal is for the EURO 2016 on June 14 of 2016, against Iceland. 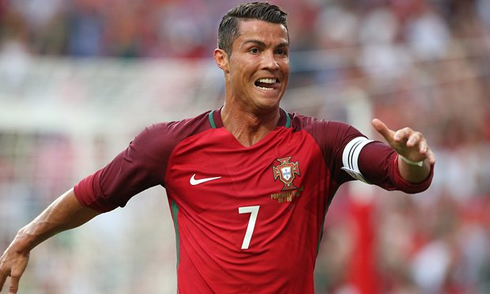 You can watch Juventus live stream, Portugal vs Iceland, Argentina vs Panama, England vs Russia, Wales vs Slovakia, and Albania vs Switzerland, all matches provided from our EURO 2016 live streaming game pages.